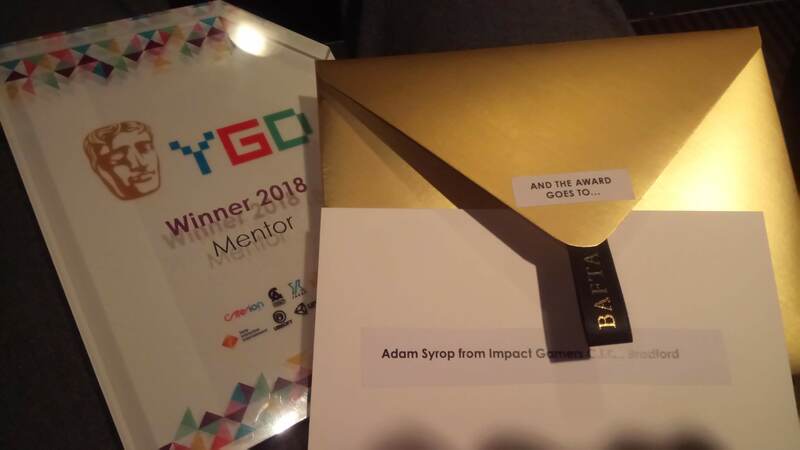 Adam and TJ got invited to the Young Games Designer BAFTA 2018 awards as Adam got nominated for mentor award. We didn’t think we’d ever win, but amazingly we did. The judging panel were impressed by the passion and care we put into supporting young people and their families while teaching them to make games.